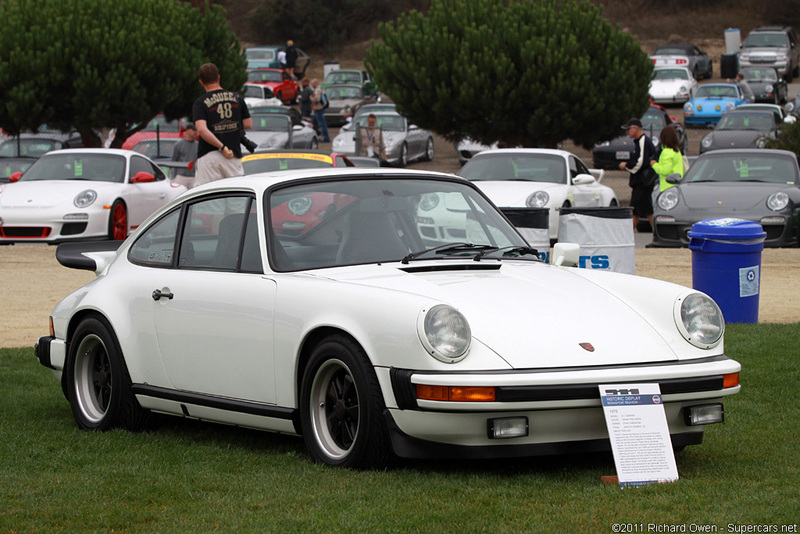 In 1974, Porsche’s performance version of the 911 was simply known as the 911 Carrera. It had new bumpers that complied to American regulations and the 2.7-liter engine from the Carrera RS 2.7. Other new features for 1974 included new seats, a full-width rear taillight. The Carrera deleted all the chrome off the car in favor of black window frames, wipers, doorhandles, but chrome could be ordered as an option. In 1976 Porsche replaced the Carrera with a new 3.0 liter variant that used the a version of the 911 Turbo engine and it’s larger wheel arches.